Fanfare has been invited to play this year’s Progtoberfest II music festival in Chicago on Friday, October 21. We will take part in a special tribute to the legacy of Keith Emerson. Guesting on several songs will be Mike Keneally (Frank Zappa, Joe Satriani, Beer for Dolphins), Jonathan Schang (District 97), and other friends. Fanfare will be live at Frankie’s Blue Room in Naperville, Illinois on Saturday, September 17. 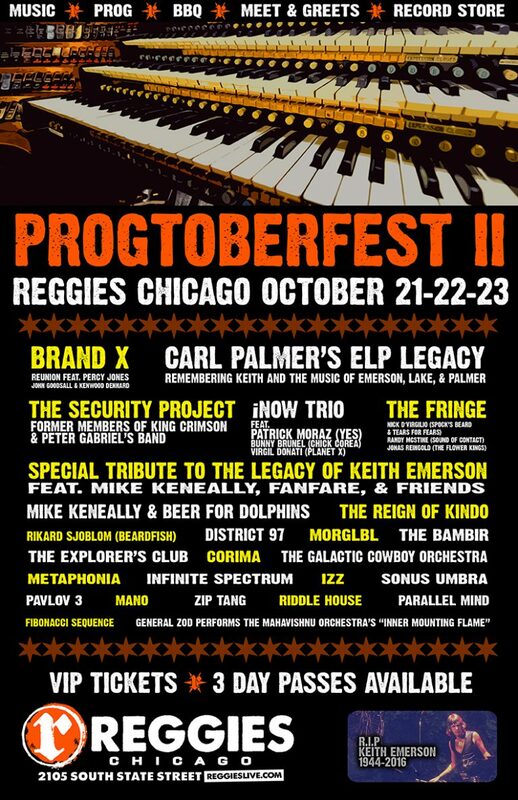 We will also be playing a special tribute to the legacy of Keith Emerson at this year’s Progtoberfest II on Friday, October 21. Mark your calendars!